Wassim M. Haddad received the B.S., M.S., and Ph.D. degrees in mechanical engineering from Florida Institute of Technology, Melbourne, FL in 1983, 1984, and 1987, respectively, with specialization in dynamical systems and control. From 1987 to 1994 he served as a consultant for the Structural Controls Group of the Government Aerospace Systems Division, Harris Corporation, Melbourne, FL. In 1988 he joined the faculty of the Mechanical and Aerospace Engineering Department at Florida Institute of Technology, where he founded and developed the Systems and Control Option within the graduate program. Since 1994 he has been a member of the faculty in the School of Aerospace Engineering at Georgia Institute of Technology where he holds the rank of Professor. Dr. Haddad's research contributions in linear and nonlinear dynamical systems and control are documented in over 500 archival journal and conference publications. He is a coauthor of the books Hierarchical Nonlinear Switching Control Design with Applications to Propulsion Systems (Springer-Verlag, 2000), Thermodynamics: A Dynamical Systems Approach (Princeton University Press, 2005), Impulsive and Hybrid Dynamical Systems: Stability, Dissipativity, and Control (Princeton University Press, 2006), Nonlinear Dynamical Systems and Control: A Lyapunov-Based Approach (Princeton University Press, 2008), and Nonnegative and Compartmental Dynamical Systems (Princeton University Press, 2009). His recent research is concentrated on nonlinear robust and adaptive control, nonlinear dynamical system theory, large-scale systems, hierarchical nonlinear switching control, analysis and control of nonlinear impulsive and hybrid systems, adaptive and neuroadaptive control, system thermodynamics, thermodynamic modeling of mechanical and aerospace systems, network systems, nonlinear analysis and control for biological and physiological systems, and active control for clinical pharmacology. 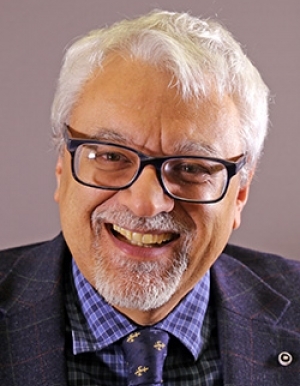 Dr. Haddad is an NSF Presidential Faculty Fellow, a member of the Academy of Nonlinear Sciences, and an IEEE Fellow for contributions to robust, nonlinear, and hybrid control systems.